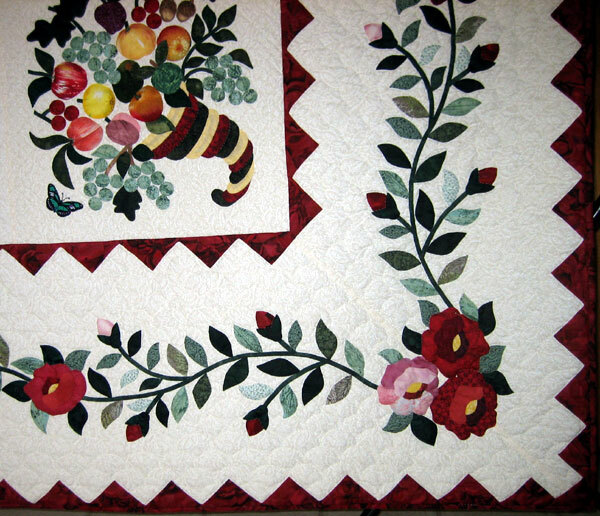 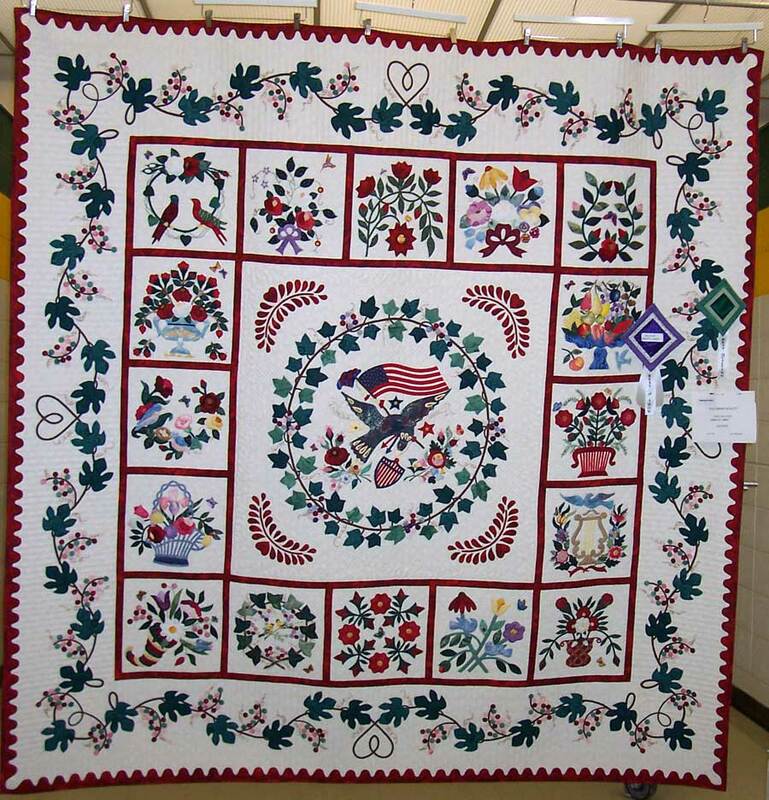 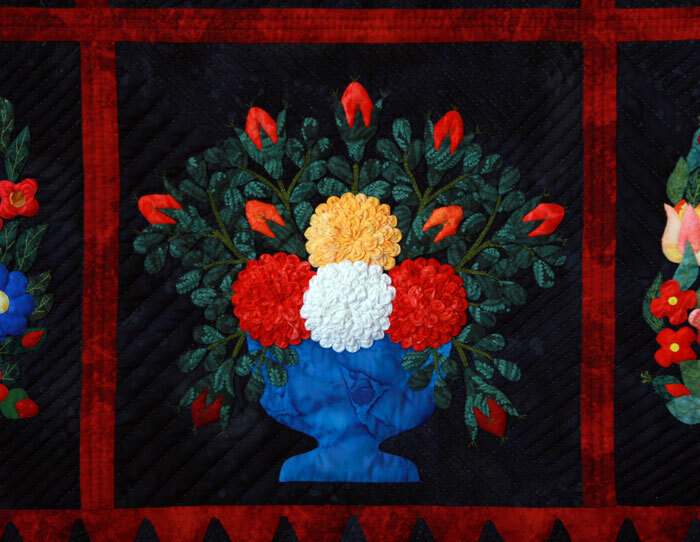 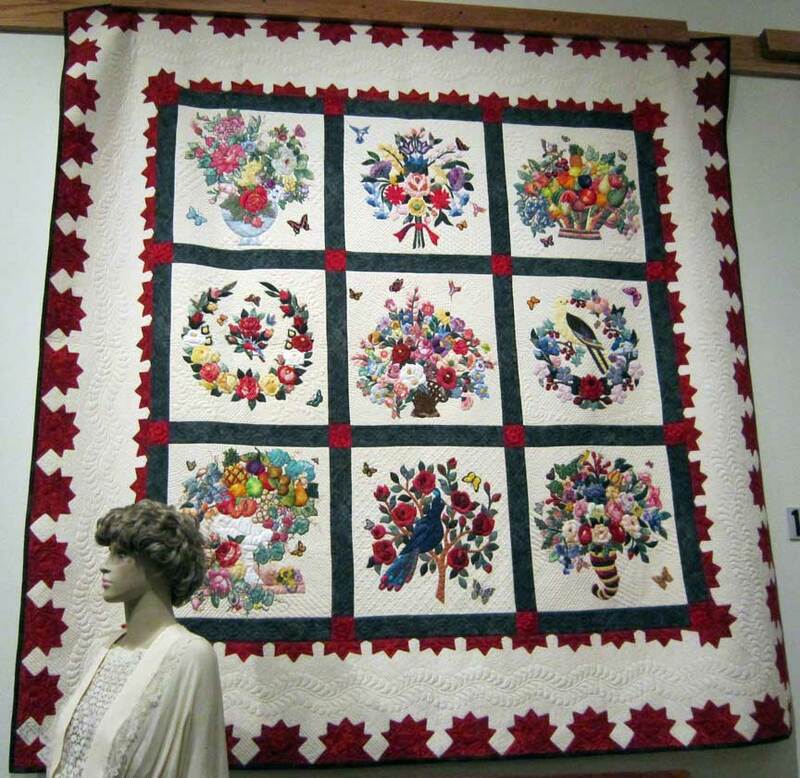 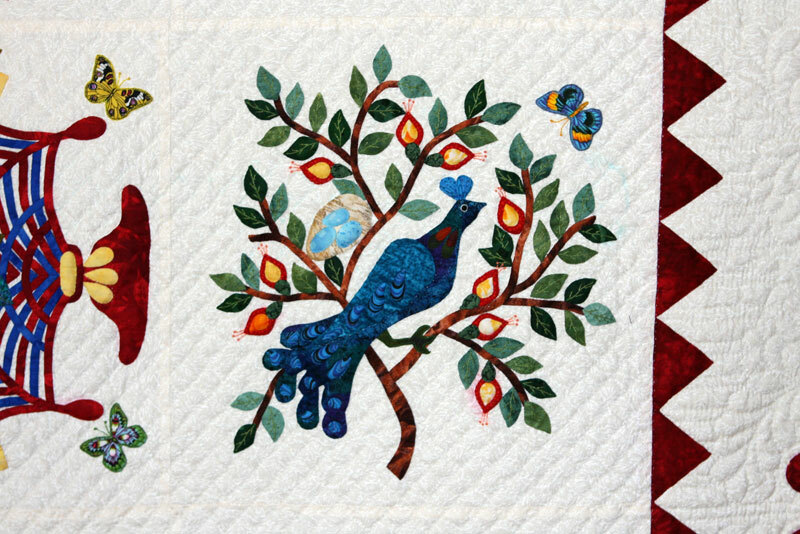 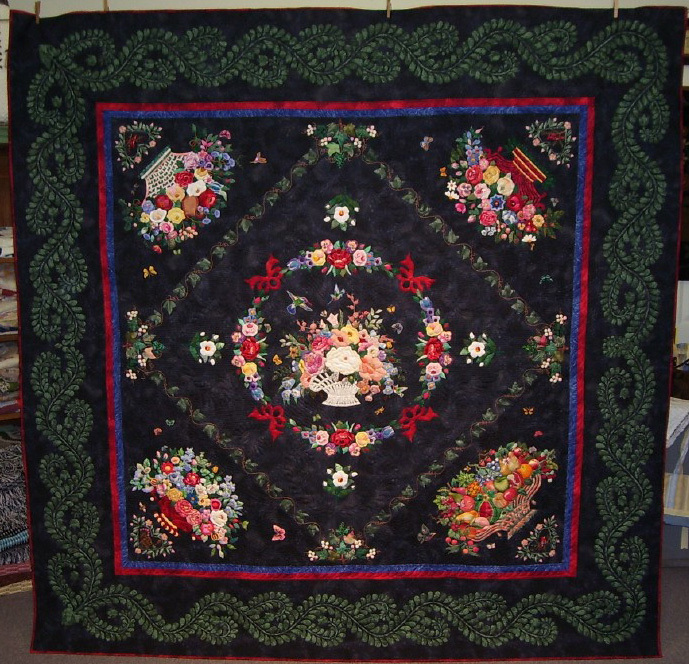 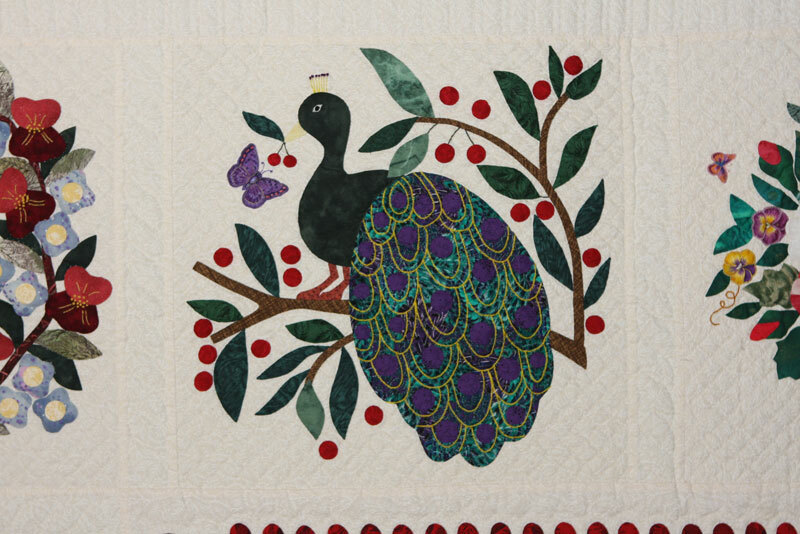 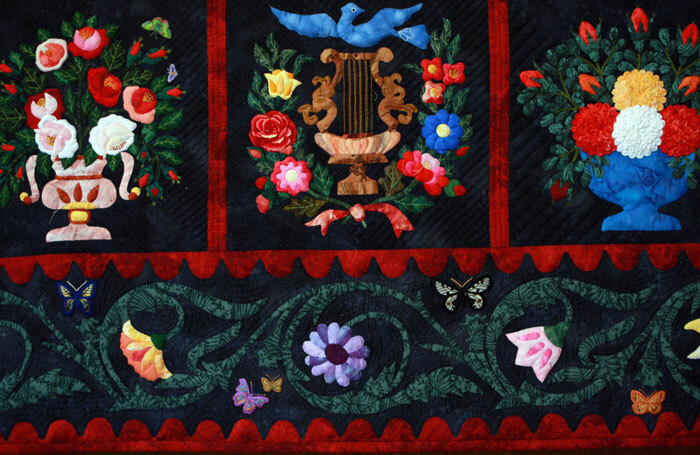 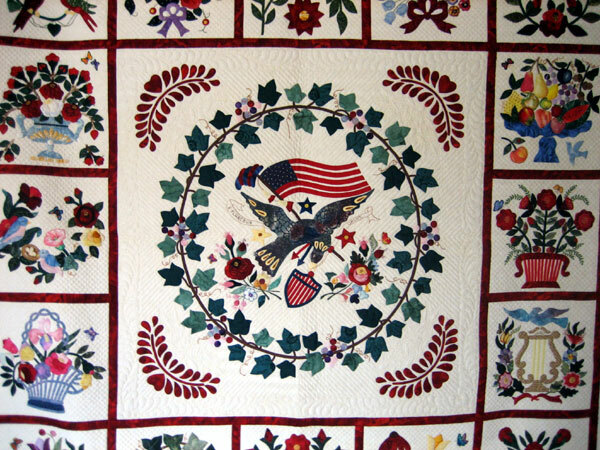 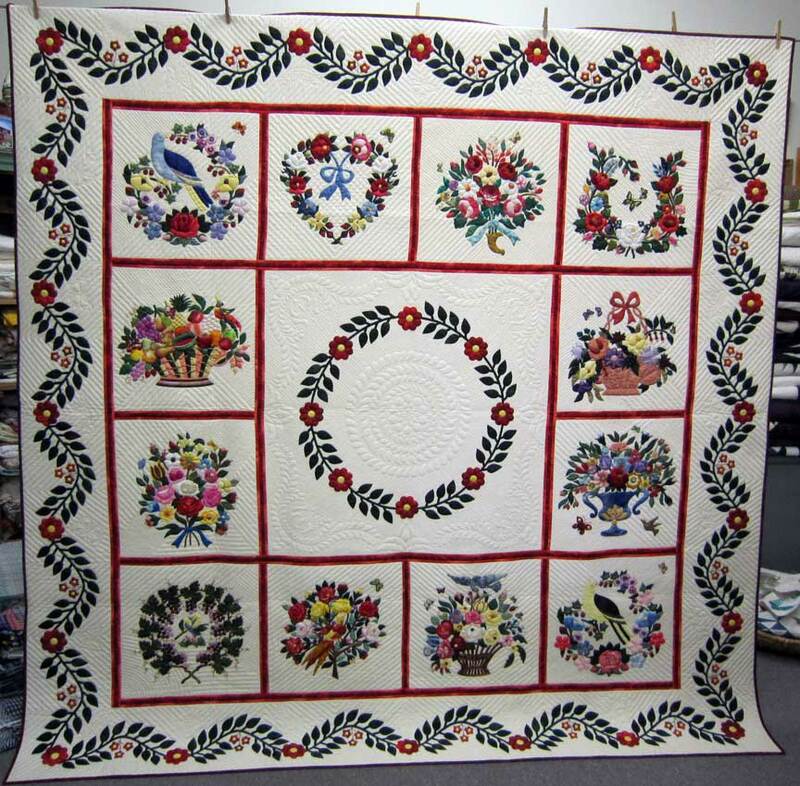 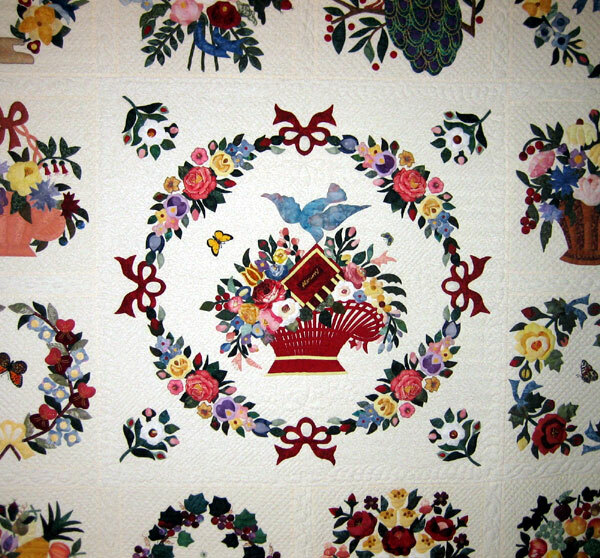 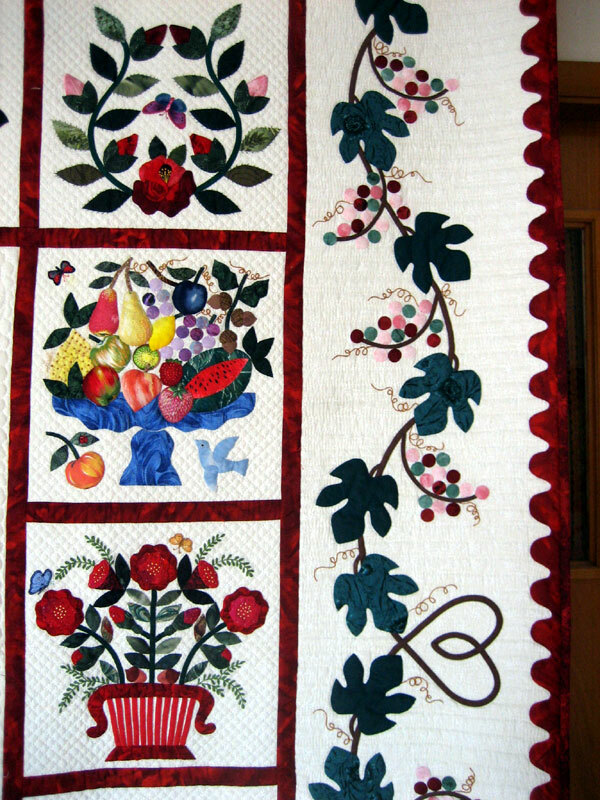 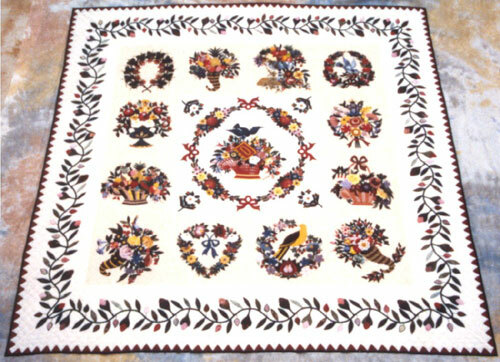 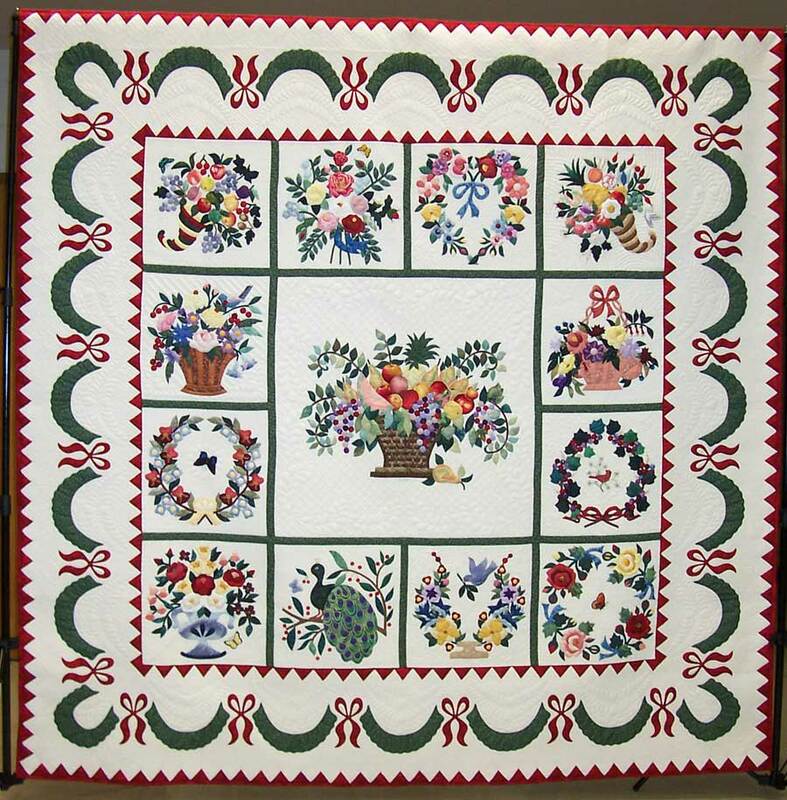 Baltimore Album Quilts originated in Baltimore, Maryland in the 1840s. 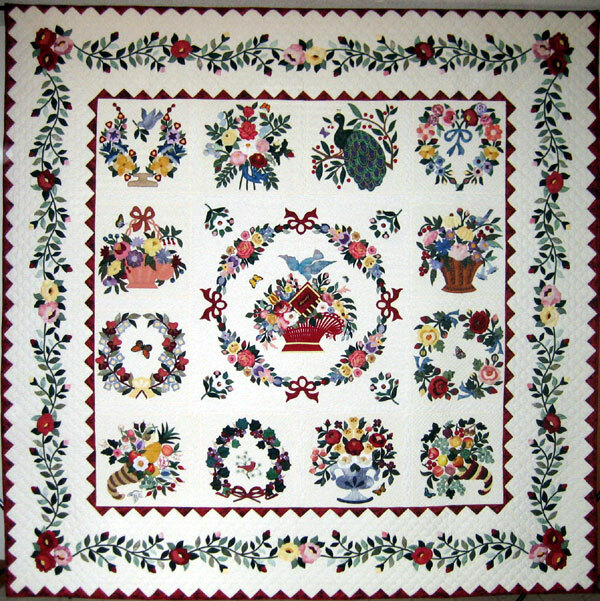 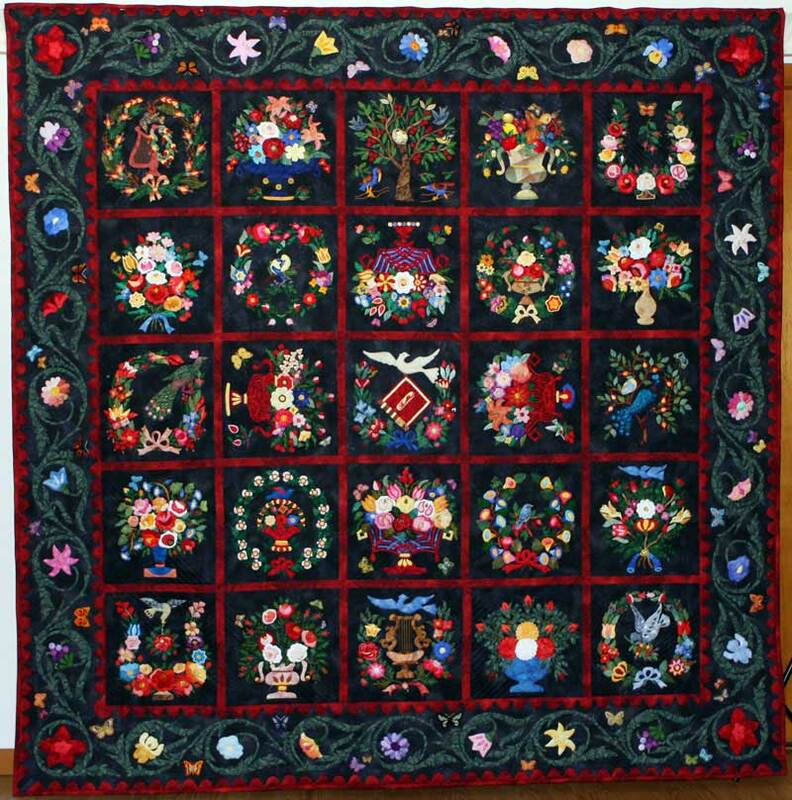 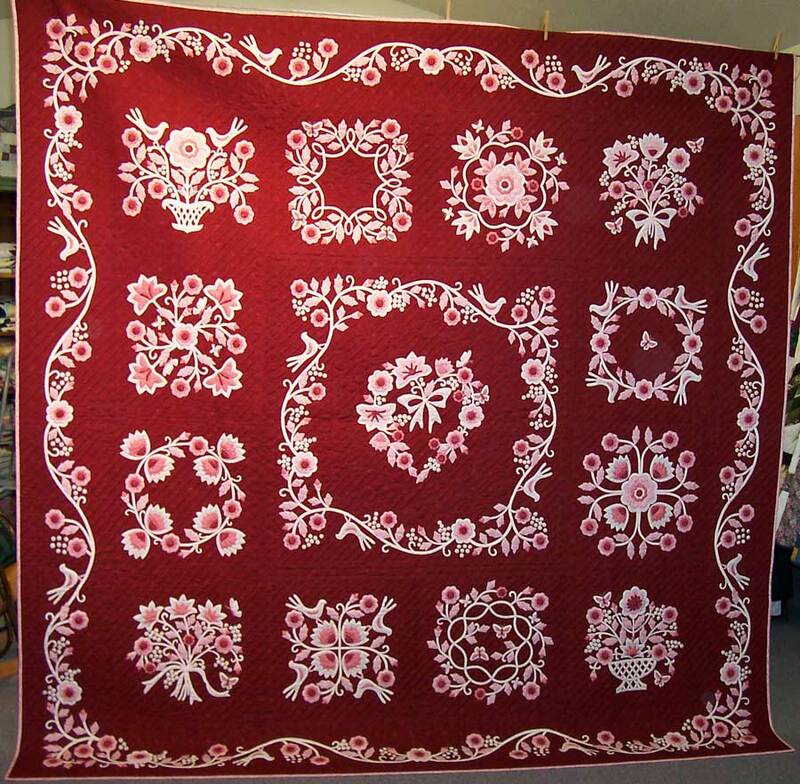 They have become one of the most popular styles of quilts and are still made today. 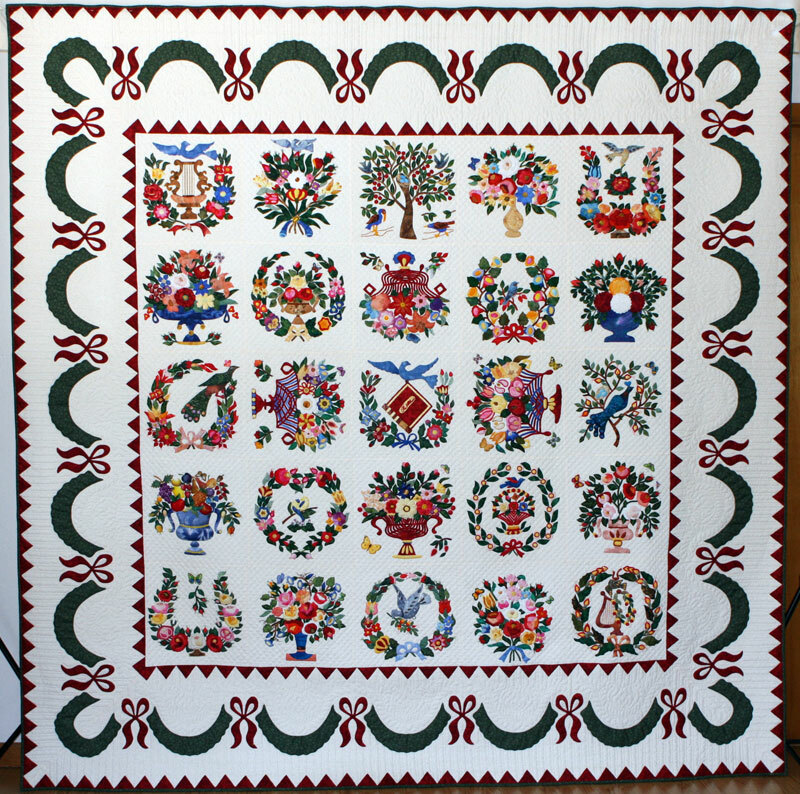 These quilts are made up of a number of squares called blocks. 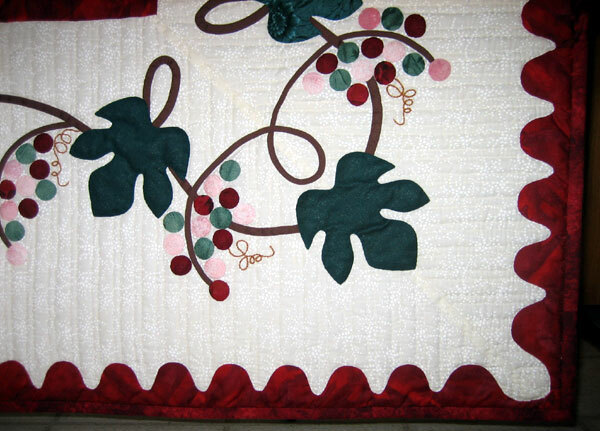 Each block has been appliquéd with a different design. 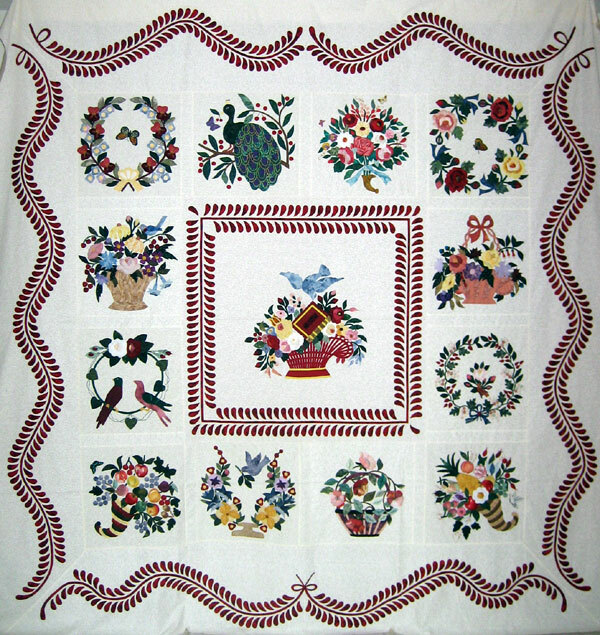 The designs are often floral, but many other motifs are also used, such as eagles and landmarks.